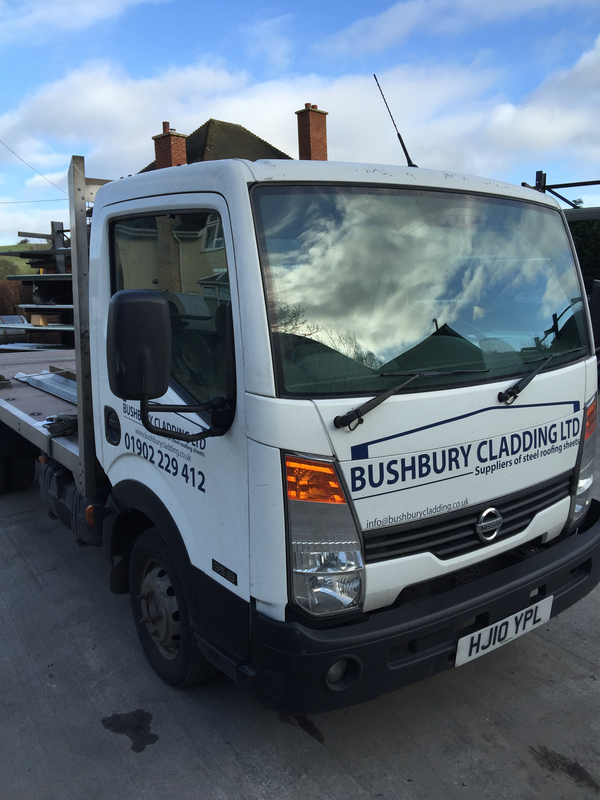 Delivery Service | Bushbury Cladding Ltd.
Bushbury Cladding Ltd can offer a professional delivery service to any location in the UK. Our drivers are very experienced and helpful and will do their best to help our customers in any way they can. Our transport office will normally call / text our customers 2-3 days before delivery is scheduled to arrive. On the day of delivery our driver will call to confirm an estimated time of arrival. We aim to deliver all our orders within 7-14 working days from order where possible. In busy periods this can vary depending on location. An estimated time can be given by calling our office. Collections are welcome but we do advise to use a suitable trailer / van, also make sure you bring gloves, as sheets can be very sharp. It is also advised to use heavy duty ratchet straps as loads can be very heavy when stacked together.